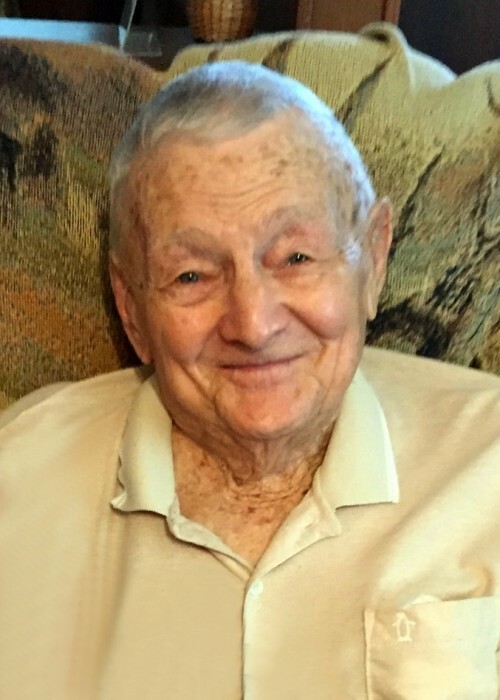 Wayne Hardin, 93, of Beebe, Arkansas went to be with the Lord March 31, 2019. He was born in Morganton, Arkansas January 7, 1926, to the late Stanford and Elsie Hardin. Wayne was a Navy veteran, serving in the South Pacific during WWII. Upon his return home he became an accomplished iron worker. He was a member of Beebe First Church of the Nazarene for over eighty years. He loved hunting, fishing and camping with his wife and granddaughter Deitra. He is survived by his wife of sixty-five years, Sue, son David (Gwen) Hardin, granddaughter Deitra (Jordan) Jones, and great-grandson Jaxon. Wayne is preceded in death by his parents and infant sister Wanda.